Clara Stahlbaum (Mackenzie Foy) was turning over an internal part of a long-shaped musical box that had been taking her undergoing a thrilling adventure in the Fourth World. Her face turned positive as she found out the part was a small mirror reflecting back at her beautiful countenance. “Everything that you need is inside,” her mother, the late Marie Stahlabaum said to her. It was her mother’s words that were carrying Clara following her curiosity looking for a key to unlock the box. Little did Clara know that her initial motive would lead her into something frightening, intriguing yet liberating. She quickly caught the point of the words; it was all herself that she needed to conquer Sugar Plum Fairy, a devilish regent of the Land of Sweets. As much as Clara was expecting the answer of “what is inside the box” as the movie started, I, too was waiting for the thing the Queen Marie brought up. While Clara was relieved that she finally found her strength, and that she was her only resource to defeat the Sugar Plum, I was disappointed. It wasn’t about the mirror. It was more on the acting and the expression of Mackenzie Foy that, in my humble opinion, was flat. That scene was supposed to be the essence of the overall movie yet the way she was telling audiences about that was just that. Throughout the entire film, I was hoping the actress’s way of delivering the emotion of Clara as a teenage girl; a shy, clever yet rebellious person, would wow me. Sometimes, Clara did make it, such as when she was conversing with her father at the beginning of the movie. Her sadness and misunderstanding over her father’s apparent ignorance over her mother’s death was smoothly felt. Mackenzie did well on this part. But when she was entering the parts that faced her with Keira Knightley as the Sugar Plum or the Mother Ginger (Helen Mirren), I can clearly tell the difference aside from the different roles each of them was playing. In addition, the peak battle scene between the toys made by the Sugar Plum and the rats of the Mother Ginger didn’t run as epic as I initially expected. In fact, it didn’t frighten me as much as when Clara was attacked by the king of rats early in the movie. Thankfully, thankfully, despite the overall disappointing performance from the leading actress, I loved the transition of Mother Ginger and the Sugar Plum. The way the director switched the perceptions of the two characters successfully surprised me. I didn’t expect the story would turn out at the very right moment with no clues at all. I salute the acts of Keira Knightley and Helen Mirren for this very swift transition. As a die-hard fan of the Victorian era, I admit I was fully, completely entertained by the CGI, costume and settings of the movie. The scenes were wonderfully crafted to have resembled those in the era, at least as I watched so far in movies or imagined from Victorian-based novels. I admire the editing team of the movie for the making the film is such a pure, beautiful art to enjoy. The castle, the forest, the streets both in London and the four realms were made in great details. And of course, the nutcracker itself with his peculiar costume that marks the identity of the fiction. Not to forget kudos for the team that managed the costumes and the accessories of the casts. And definitely the fantastic ballet dance! 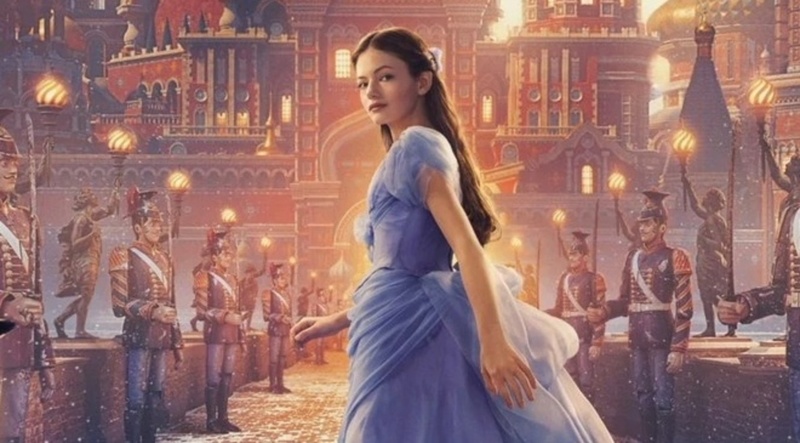 Some minus points there yet a few positives here from The Nutcracker and the Four Realms. I hope my next anticipated movie, Mary Poppins Returns, will do me better than this one. Anter years reading works from Victorian Era that mostly talk about feminism, gender gap, poverty, societal mockery and romance, savoring ‘The Moonstone’ has so far becoming a very rare pleasure for me. Dubbed as the first detective story in world literature, ‘The Moonstone’ is a smart, witty, silly and yes, funny as hell. The core of the fiction lays on a valuable jewel namely the moonstone coming from the 11th century of the Christian era. It isn’t only a grand, precious metal but it carries stories about religions, legends, superstitions held by its believers for centuries. The main protagonist of the novel is Gabriel Betteredge, a 70 something old man, who works as the servant head of the Verrinder family. His role in the fiction is greater than what a top servant does for he knows about the costly stone for decades. He comprehends what happens with the stone after it is stolen by one of the Verrinder’s family members until how it reaches the hands of Ms. Rachel Verrinder on her 18th birthday. The moonstone draws much attention from many people, especially Indian jugglers, the country from where the stone originates. So when the stone goes missing a day after the party, everyone in the house is suspected to have taken it. By the page of 110, two police officers come to the house to investigate the missing stone and so far none is proven to have stolen it. Wilkie Collins invites me to read his work in full concentration not because his words are wrapped in layers or it conveys deep meaning behind the story but due to his fast-paced plot. Certainly, ‘The Moonstone’ isn’t the type of Victorian novels written by his peers who explore much about emotions and interactions. Collins certainly does sell riddles here. In this book, Collins also brings forth unique characters, those who are strange, stupid and comical. I love the way Collins injects spontaneous element here and there. The figure of Betteredge himself is an interesting person to explore. Of course, his heart is very kind and attentive to people around him. He learns so much about the inhabitants of the residence. As an old man as he is, Betteredge has eyes and ears all around the mansion. He has only one daughter, Penelope, who also works in the house as the caretaker of Ms Rachel. He is a trustworthy person yet insensible to women’ feelings. When I come to the page of 110, I am puzzled by the behavior of the young lady of the house, who is Ms Rachel. Well, from the start, her description raises my eyebrow. Unlike most young girls at her age who loves sharing stories with her friends, Rachel is the sort of person who completely depends on herself. In shorter words, she knows about herself so much that it seems she doesn’t need anyone from whom she will gain perspectives or advices. As firm as she is, I am so surprised to have known she looks hysterical when the stone is gone. She locks herself inside her room and doesn’t want to talk with the officers. Her countenance looks pale when she faces her servants talking about the moonstone. In my words, I can conclude ‘the moonstone absorbs Rachel’s independence so she highly depends on the jewel that she doesn’t know what to face the life anymore’. Those are only two brief descriptions on the two characters that catch my attention most. As I previously say, I love the way Wilkie Collins inserts spontaneity in many parts of the story. I think this what makes the fiction runs unexpectedly and completely entertaining. In-between spontaneous acts, he puts jokes too, which stimulates my laughter while reading it. For instance, Collins mentions a lot of Rosanna Spearman, one of the servants who used to be a thief. The woman has a crush on Mr. Franklin Blake, the cousin of Miss Rachel, but the gentleman doesn’t share the same feeling. Rosanna acts so weird just to attract Mr. Franklin’s attention, from taking roses from the room of Miss Rachel (because Mr. Franklin and Miss Rachel loves each other) to spying on him around a shrubbery in the complex of the house, a spot where which Mr. Franklin frequently visits. I pity on Rosanna’s attitude but also I can’t help laughing while imagining her actions when such acts take part. Another thing that sticks on my mind is when Gabriel Betteredge suggests Mr. Candy to take a carriage on his way home from the birthday party. But the young doctor refuses the advice saying a doctor’s skin is waterproof, LOL! The next day, the doctor is sick. I look forward reading, and hopefully, finding more sudden, funny acts in the book since it has been really long I hadn’t read such a comical book like ‘The Moonstone’. Very good job, Mister Wilkie Collins! I am the huge fan of ‘The Moonstone’. I finally bid farewell to ‘Thrawn Janet’, the first short story ever that confuses me because of its writing style. You can read about the reading struggle of this writing here. I get through it, eventually, after a few weeks. I can’t tell you how relieved I am now. It feels as if I just pass very dark, dense forest with no helps at all. All in front of my eyes are now clear path with the sound of river nearby where I currently stand. The sun shines so bright. The land looks so vast. I am so ready to resume the journey of this short story collection by Robert Louis Stevenson. Well, in fact I have been enjoying the first three pages of ‘Olalla’ another short story in this book anthology. And I quite like it. At least, the writing style is my kind of favorite. No Scottish dialect, all is written in formal language. And oh yes, what I have been missing from this author shows up again; his beautiful writing style, the one that contains vivid descriptions that encourage my mind to visualize. I can’t tell you much about what this story is all about other than the protagonist of the story is a handsome man from well-to-do family who wishes to seek therapy in a fresh, beautiful village in Spain in exchange of better health condition. ‘Olalla’ is the name of the characters in the story, the wife of Felipe, the narrator’s servant. What goes after this? I don’t know yet. I am going to share it all after I complete reading it. In the meantime I just want to say that I am happy I fulfill my commitment to finish reading ‘Thrawn Janet’ which completely confuses me. But I manage to keep my words and somehow I am proud of myself because of that. Also, I am happy to say here that I enjoy reading ‘Olalla’ so far. Thank you for providing the above happy picture.